“Deepwater Horizon” finds heart-racing suspense after the slow climb. “Deepwater Horizon” stars Mark Wahlberg as Mike Williams along with Kurt Russell as Jimmy Harrell. These two individuals were a vital part of mitigating this oil disaster in April 2010. Based on the true story of the Deepwater Horizon oil rig, this film of the same title recounts those tragic events. “Deepwater Horizon” has a beginning much like many disaster films. The connection to Mike Williams (Wahlberg) is established through his home life. Mike’s wife Felicia (Kate Hudson) and his daughter Sydney serve as the calm before the storm. They are an all-around happy family which for some may create the emotional ties to Mike early on. Unfortunately for me, it failed to establish those ties. There was either a lack of chemistry between Mark Wahlberg and Kate Hudson or Mark Wahlberg was just off his game in this role. Until the domino effect of events leading to the disaster, most of the film’s progression is stagnant just like this family dynamic. 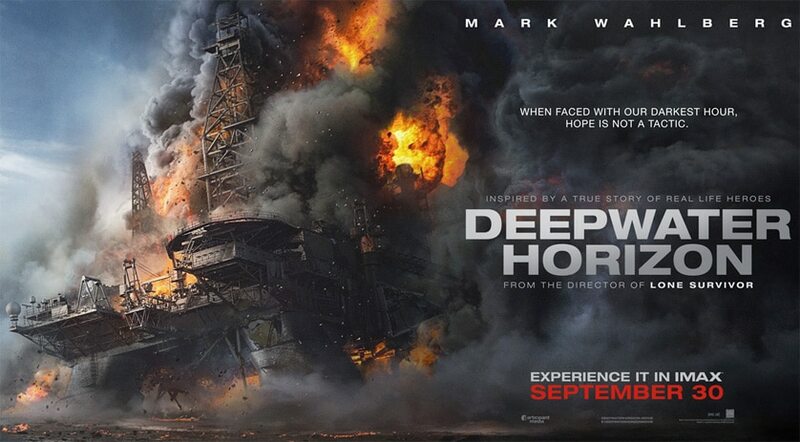 “Deepwater Horizon” starts to make its climb towards captivation once the flow of the oil rig jobs begin. While the anticipation builds, John Malkovich and Kurt Russell provide entertaining conflict. Malkovich plays the epitome of corporate villainy as Vidrine but is perfectly juxtaposed by the communal righteousness exhibited through Kurt Russell as Jimmy. The conflict between them builds almost in line with the tension of the pipe about to explode. Both Russell and Malkovich compliment each other but sadly Mark Wahlberg seemed a bit out of place. His performance was at times scattered and inconsistent. One example of this is Wahlberg’s accent. For most of the film he’s the Mark we know, but in one scene with Malkovich he busts out a southern diction that’s used nowhere else in the film. It was so awkward it jolted my experience. The moments that truly matter in this film are the chaos that ensues when the rig finally explodes. The dialogue-driven scenes are the weak points of “Deepwater Horizon” but once the disaster begins, the characters begin to truly shine. The variety of destructive scenery was fluidly engaging and it kept my heart racing throughout. Despite the mounds of conversation attempting to establish the villainy of BP, it was the third act that truly put things into perspective. Overall, “Deepwater Horizon” is a marvelous example of how actions speak louder than words. In my opinion if the film started on the oil rig, it would have been vastly improved. Nonetheless, the action sequences counter the stagnant moments of intended anticipation. It’s a temporary, arduous journey early on, but once that journey’s over, the fun begins. Director Peter Berg manages to capture the element of isolation out on this rig. Developing that isolation further puts the characters in a disaster they cannot escape and I was right there with them. Suspense was building throughout these scenes and it was like multiple time bombs going off at inconsistent intervals. Even knowing the history of the real life events, I continually questioned who would make it out alive. While not on the same level of visuals, the third act of this film felt like James Cameron’s “Titanic.” As things were collapsing around them, saving the lives of others rather than themselves was the first priority. Tying this suspense in with the factual basis after the close, made the experience that much more enriching. 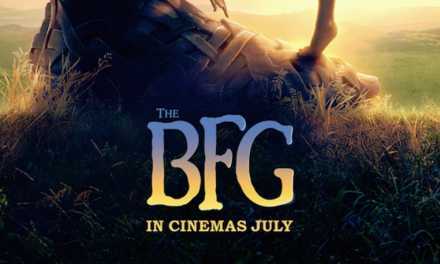 I’m torn in this category as I enjoyed half of the film and the other half felt a bit dry. There’s a social significance that empowers the part of “Deepwater Horizon” that I love. But I think I would probably watch through once more before skipping to the second act of the film. Deepwater Horizon is now available on Digital HD and will be available on 4K, Blu-ray & DVD on January 10, 2017. 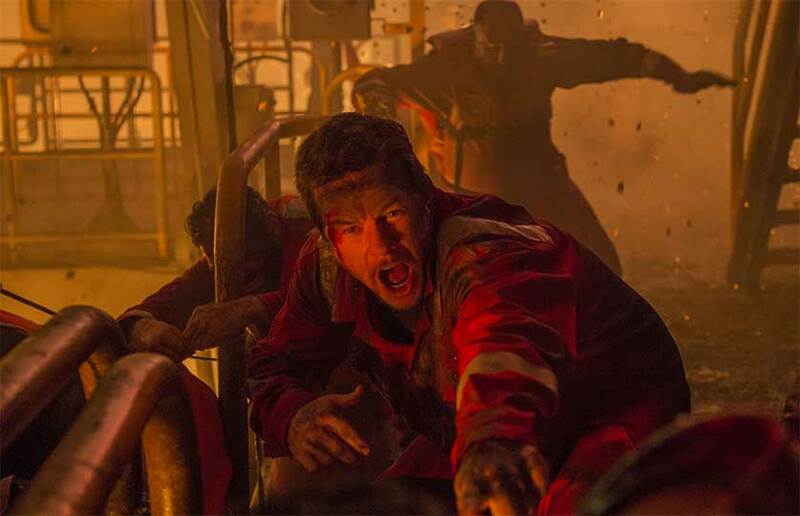 "Deepwater Horizon" is a slow climb in the beginning but is a crowd pleaser overall. There's a bit of a disjointed performance from Mark Wahlberg but once the action picks up, he falls into his role well. 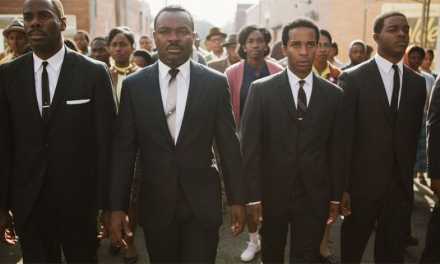 Are We Sold on Selma?…Fad or Flop?